WTF YOU ZORUA GET US UPDATED PLEASE!!! The latest notification is talk about the period of time change for GM matchup event and another event’s winner list. Use the matching system of the game to match up with GM. When the time start, game notification will guide player to the channel of GM. With random matching system of the game, GM will match up with 2 random player to clear a mission. (excluding episode 3 and all EX missions). There will also be notification in 19:00 about the end of the event. Anyone who cleared any mission with GM will be rewarded with 100TS point. Compensation will be paid only once per account during event. 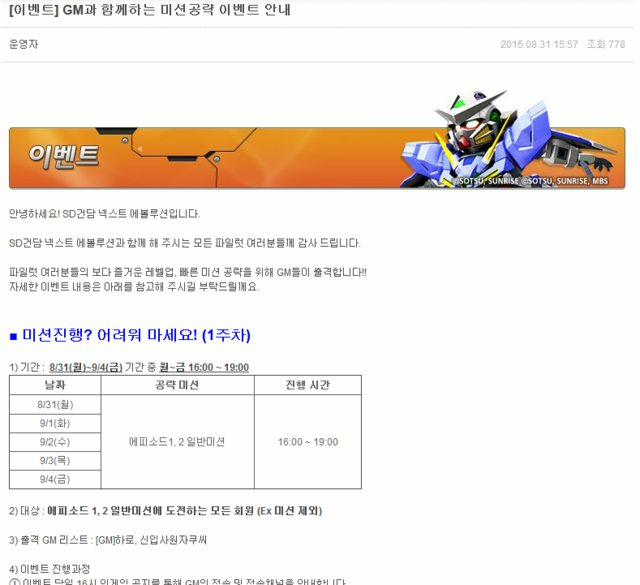 Even if you proceed with GM for several missions, reward will be paid only once. If GM disconnect while playing the mission, he will pay you 1000G. TS rewards will be paid ingame mailbox. Zorua’s note: Internet down for yesterday… I carry on the translate tomorrow with transformed multiple hand gundam. Please do make a comment if you need any tip/note urgent. 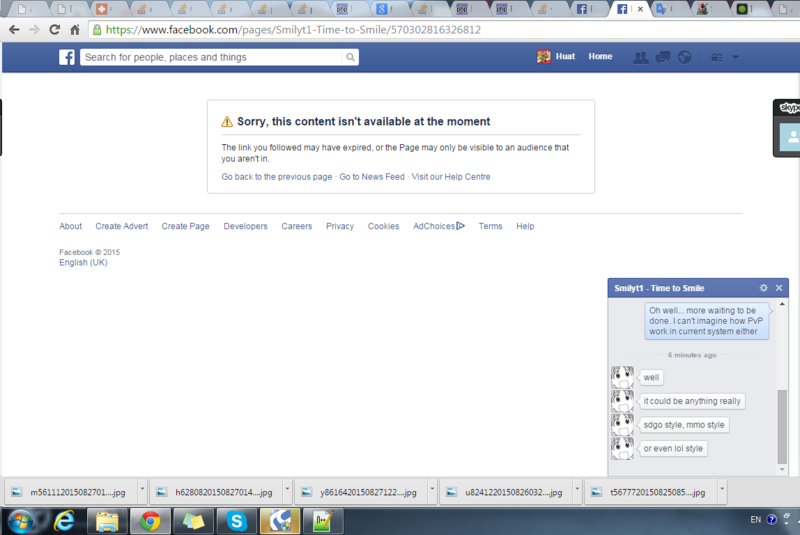 SmilyT1 I cannot really reply your chat or contact you in anyway, if you’re out there, give me another way of contacting you or you might want to fix your facebook page. Stabilizing some service in the game. Finally finish translating some wiki stuff. Now you can check the skills of each unit from the sdgn wiki here in English. Just click the link on the left of your screen. In the sdgn wiki, you can also find out the side quests/challenges of each missions. Note that the accuracy of translation is not 100% accurate. If any mistakes or question, you can comment down below this post or that specific wiki page. Create a translation and guides of in-game interface. Note that every units have different rate of gaining New Type Gauge. For example, G-3 Gundam have much lower New Type Gauge gaining rate per hit/damage compare to other unit. 1. 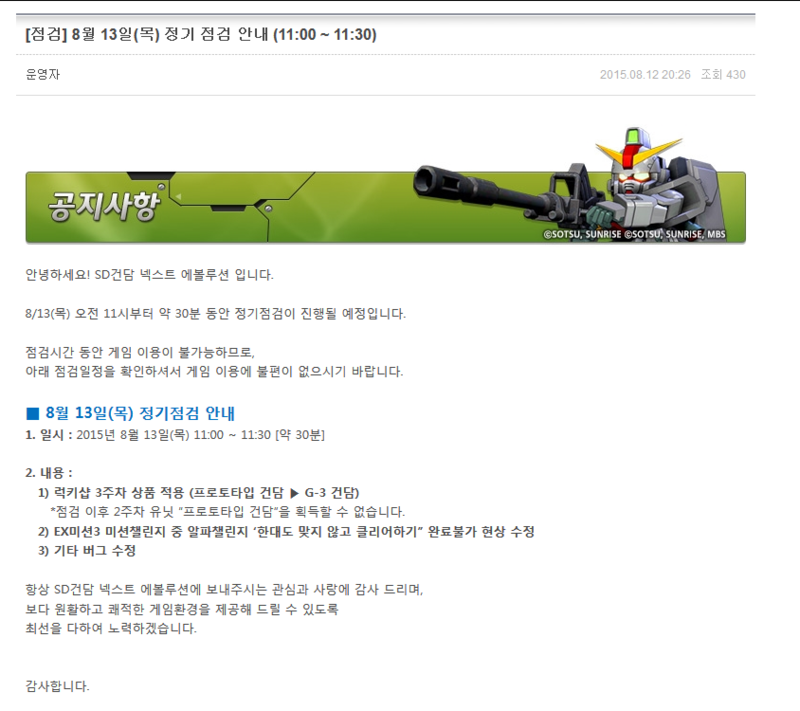 Maintenance in KR time (11:00~11:30am), already ended. Lucky Draw unit changed from Prototype Gundam to G-3 Gundam. Prototype Gundam cannot be obtain from now on. EX1-3 Mission, there was a bug causing ‘solo the mission’ achievement does not work from time to time. It is fixed. Not sure that there is any English community out there, I will just post my broken-English blog of SDGN guides here. No PvP for the Free Run period. There will be no data wipe for game. Anyone who reached 5lv or above in CBT will receive “Char Pilot Card” as award. Char Pilot Card will stop all your surrounding units or projectile from movement for a few seconds.